Tugboat Story Time with Sue Kimpton! Join Sue aboard the historic tugboat Arthur Foss and be enchanted by her irrepressible wit and storytelling charm. Let your imagination soar and your inner child take flight - you and your child will both enjoy a romp down "Story Time Lane" that is a must see! Please visit her website for a preview of the fun. See you there! 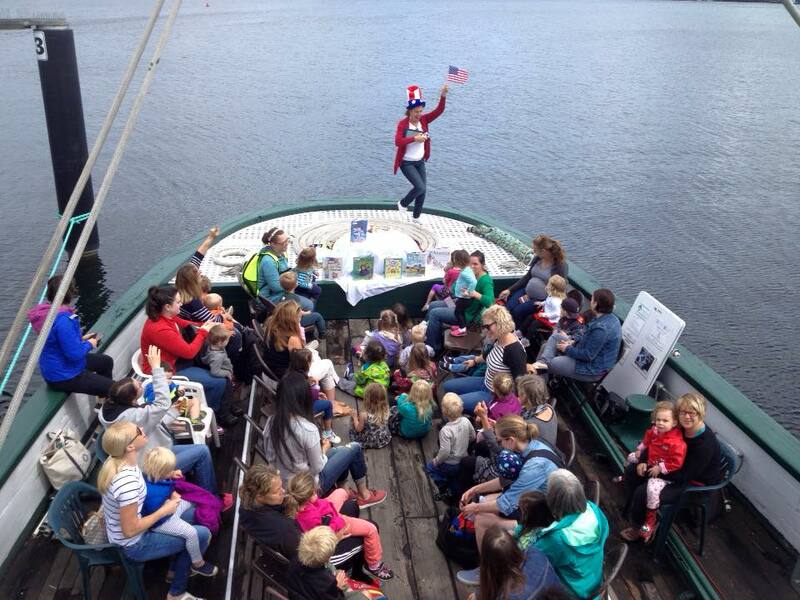 Tugboat Storytime provides an engaging environment for younger children to enjoy maritime literature and boats. This is an opportunity to listen to stories and sing songs aboard one of the oldest tugboats afloat. Join other pre-schoolers and parents aboard Arthur Foss to listen to sea stories and maritime picture books read aloud. This free, drop-in program is organized by Northwest Seaport in partnership with the neighboring organization The Center for Wooden Boats (CWB). Bring your tots down to the boat to listen to CWB’s educators read aloud story books that tell of ships and the sea, in a kid-friendly way. Dates & Times: Every 2nd and 4th Thursday of the month, 11:00 - 11:30 a.m. aboard the tugboat Arthur Foss, followed by half an hour for exploring the boat. Due to high demand, a reservation and wait list system is being established. Please sign up using the button below.